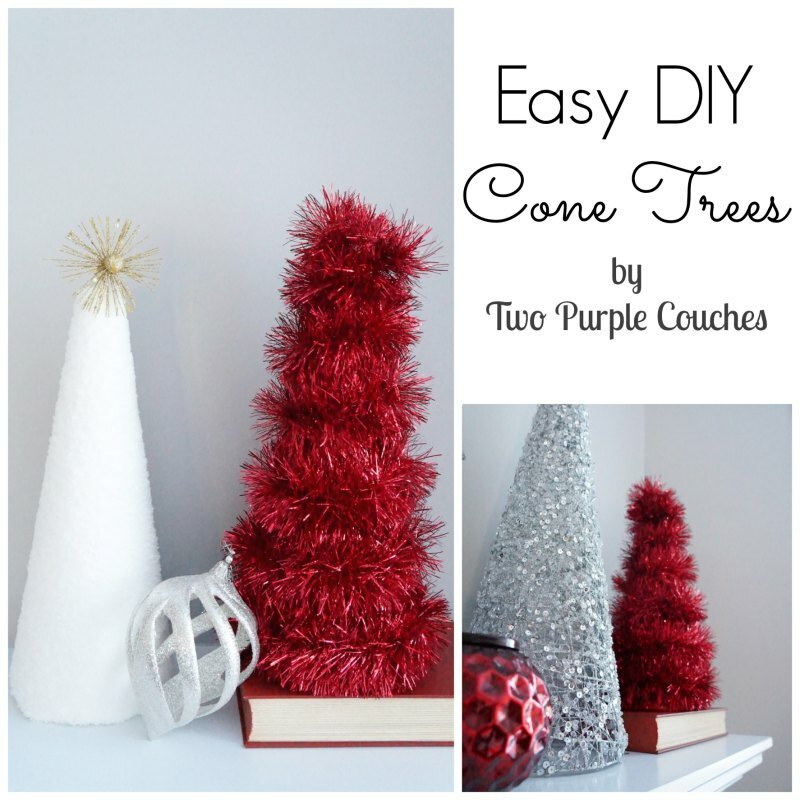 If you saw my Holly Jolly Home Tour last week, you saw these trees as part of my mantel decor. 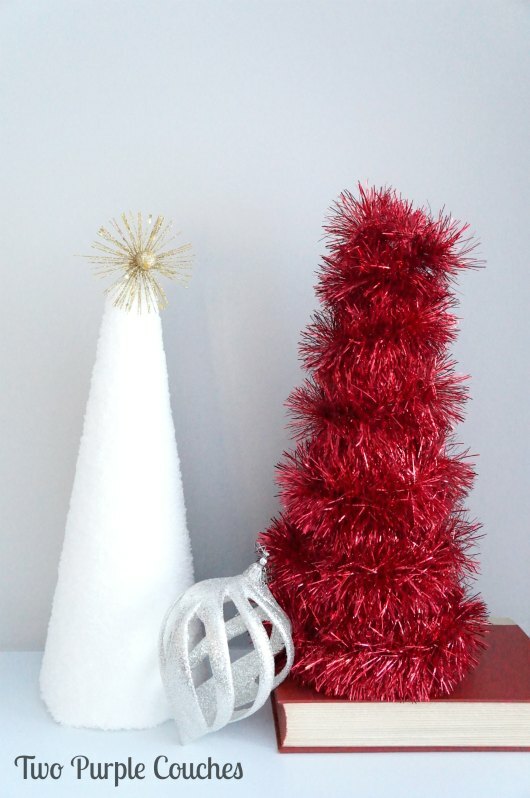 I diy’d these Styrofoam trees, and let me tell you, these were seriously one of the easiest diys ever! Want to see how I did it? All you need are a few foam cones, in whatever sizes you please, fuzzy fabric, paper, tinsel, scissors, and a hot glue gun. 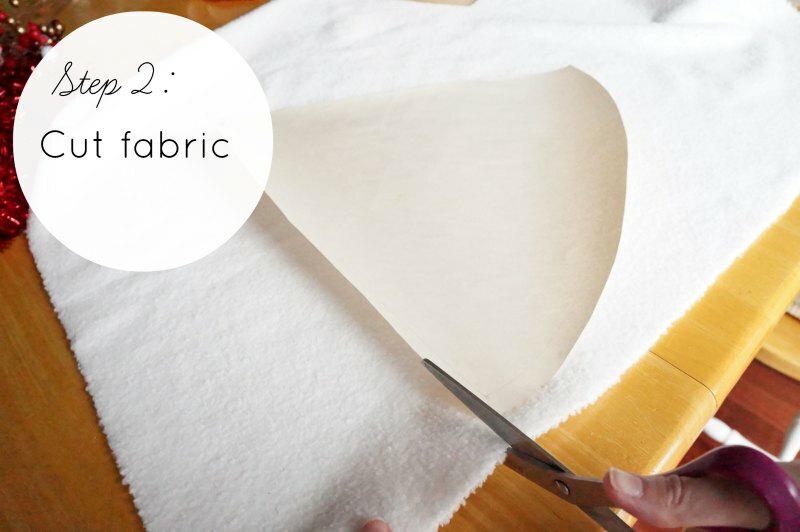 Cones can be a little tricky to work with when you’re trying to figure out how much fabric you’ll need. But luckily, Tom is always using his engineer hat. He made me a template by using the cone like that compass tool thingy we all used in elementary school math class. He held a pencil at the base of the cone, then rolled it back and forth, making sure it was wide enough to fully cover the cone once cut out. I’ve seen some furry, feathery trees floating around Pinterest, and thought some textured white would be a perfect addition to my mantel. I was right. Luckily, my mom had this chenille-y fabric in her scrap bin, so I helped myself to a bit! 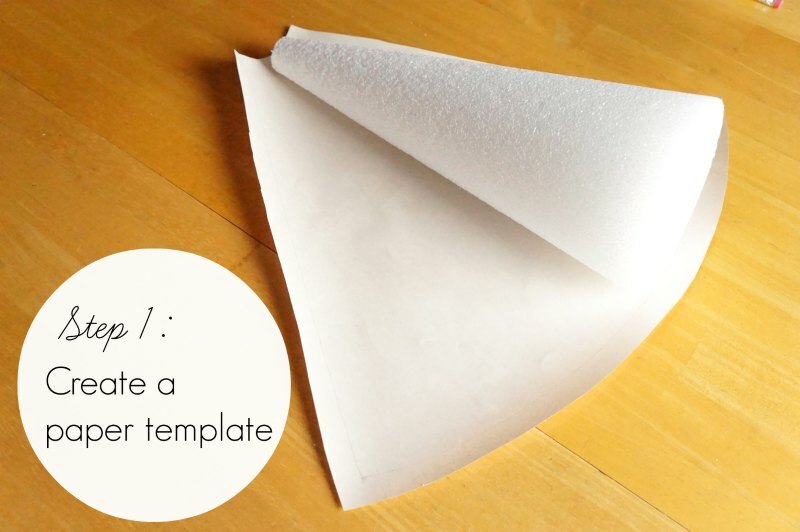 I used this method to cut out the fuzzy fabric, then hot-glued it directly to the foam cone. It needed something to finish it off, so I added the glitzy gold starburst thing. It was part of those accents you can buy in craft store floral departments, and I just cut the wire stem long enough to shove into the foam. 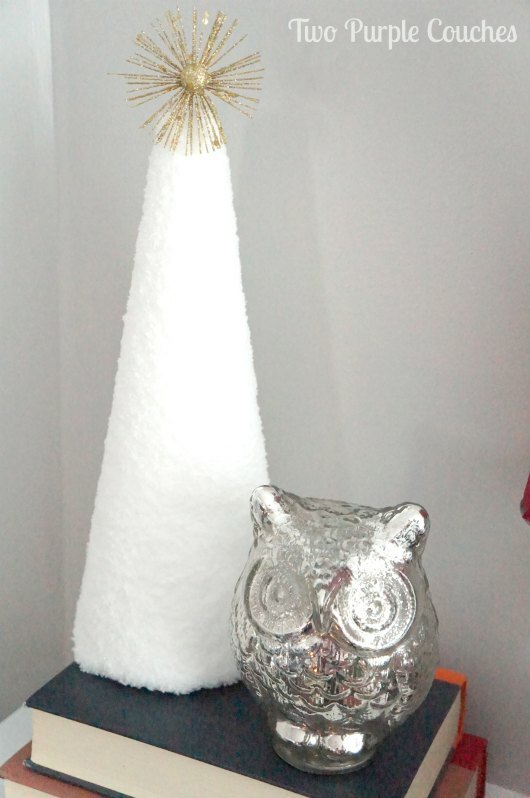 For the tinsel tree, I first cut a template out of red wrapping paper and taped it around the cone. I didn’t want to be able to see white through gaps in the tinsel. 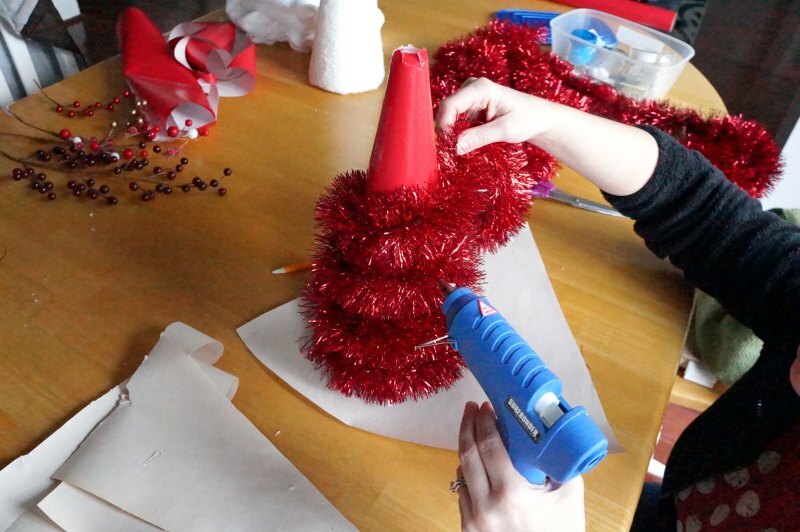 Then, I just hot-glued tinsel all around the cone, dabbing glue every couple of inches to secure it. And voila! An easy-peasy tree display! This entry was posted in Made It Myself on December 9, 2013 by Two Purple Couches. These are awesome!! 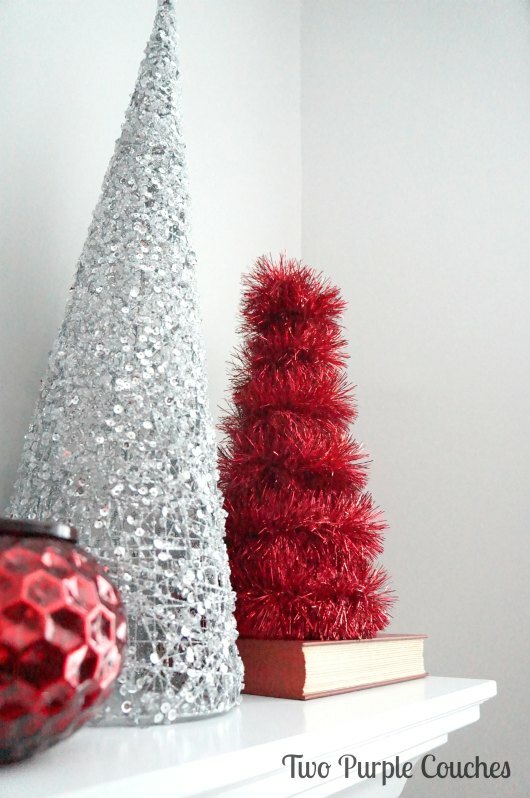 I love that you thought to use red paper under the tinsel – so smart!!! Thanks! They were so super easy, too. Maybe I’ll make up a whole forest next year!